The Arab World’s Most Independent and Influential Publication, published in Sydney , Australia . Middle East Times International (METI) founded in 1985, to serve the Arabic communities in Australia, The (METI) initially circulated in Australia and New Zealand but rapidly spread its wings to cover most parts of the world. It’s now the Arab World’s Most Independent and Influential Publication. 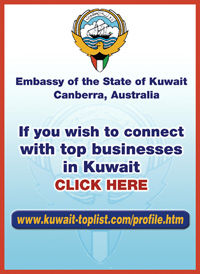 Widely distributed Internationally by subscription to Homes, Businesses, Heads of State, Government & Non Government Departments, Parliaments, Senates, Embassies, Consulates, Academics, Politicians, World personalities, Universities, Tourism Bureaus, International institutions of study and research, international media, largest company which interested in investment in Middle East region, UN & Trade Centres throughout Australasia / Middle East / Europe. The Middle East Times International published in Sydney and distributed in all states of Australia and New Zealand, also to USA, China, Spain, France, Britain, Geneva, Mexican, Canada, Vatican, Denmark, Ukraine, Germany, India, Japan, Indonesia, Pakistan, South Korea, Iran, Malaysia, Singapore and Thailand including most countries of Middle East and Africa. The (METI) an important bridge for the Arab affairs in Australia and the international community, in 2005 celebrated its 20th anniversary with a pledge from the editorial board to continue our mission to be an independent and strong forum that mirrors the true picture of Arab countries and their outstanding citizens and culture. The (METI) has from the beginning adopted objectivity, accurate reporting and variation of opinions. Being the only bilingual magazine that specializes in Arab world affairs in Australia, we have succeeded in cementing our presence in international forums. The (METI) has wide and selective readership in Australia, New Zealand the United States, Asia, Europe and, of course, the Middle East. Our first edition was published in March 1985, and was hailed as being a defining moment in informing the Australian readers including politicians, industrialists and academics about important issues and developments in the Arab region. We have strived to cover important developments in the Middle East including: the Lebanese civil war, the ramifications of the Israeli invasion to Lebanon, Altaef Conference, which announced the end of the Lebanese war, the first Palestinian uprising, the Iraqi invasion of Kuwait, Gulf Cooperation Council conferences, 11 September and Bali attacks and economic progress in Saudi Arabia, Oman, Kuwait, United Arab Emirates, Qatar and other Arab countries, and the struggle of the Palestinian people to liberate their occupied lands. Our journey has been hard but rewarding. We constantly receive letters from readers who are heartened by our commitment to strengthen relations between Australia and the Arab world. We believe it is vital that Australian as well as Middle Eastern readers know about different points of views. Furthermore, we feel that coverage of Middle Eastern issues in local media has been wanting. "The Middle East Times International" does not only cover this deficiency but also ensures that its editorial reflect the true state of affairs in the region and the factual feeling of injustice that prevails among the Arab population in the Arab world. Expand & Reach an Internationally Market: Promote Your Business with us. The magazine is become now a leading source of Middle East/Australasia news (both in Arabic and English) and information on the Internet -- www.mideast-times.com -- With a firm and growing following. The “Middle East Times International” on-line edition is the Web's leading source of Middle Eastern and Australasia news. Updated daily, this site brings together an unmatched combination of high-quality content and powerful interactive capabilities. The site allows you to access continuous local Australian and Middle Eastern news coverage on politics, business, education, social, religion and much more. Plus, you can stay in touch with the current art and entertainment scene in Australia and across the Middle East.